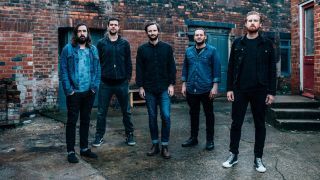 Lonely The Brave have released details of their latest album entitled Things Will Matter. The follow-up to 2014’s The Day’s War will be released on May 20 via Hassle Records and features 12 tracks, including Black Mire which the band premiered earlier this month. In addition, the Cambridge outfit have announced a short run of shows to support the release and have issued an animated short featuring the track What If You Fall In. View it below. Pre-orders are now being taken via MusicGlue in a variety of bundle packs.